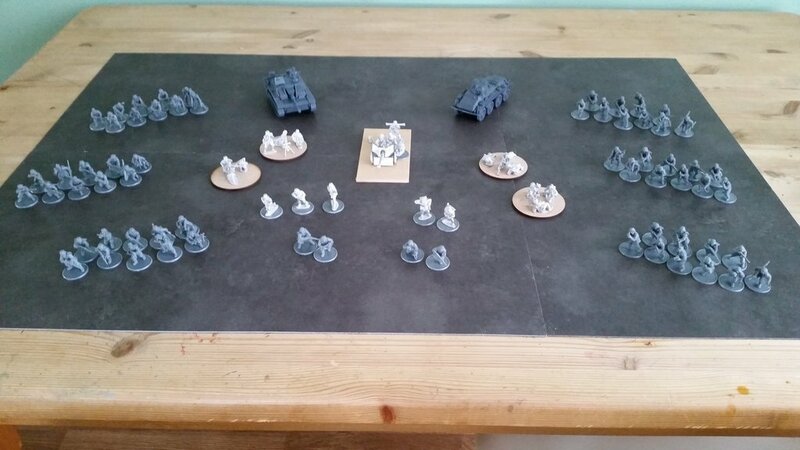 Greetings Wargamers and Hobbyists, and welcome to a rather late hobby update #2! I hope that readers won’t hold it against me that this post comes so far after my last. I have had (and still have) something of an encroachment of real life concerns into my hobby time recently, and the dust is only just starting to settle. That’s not to say I haven’t been hobbying at all, but games and writing time has been at a premium for the last month or so. Anyway, here we go with an update to tell you where I am with my hobbying. 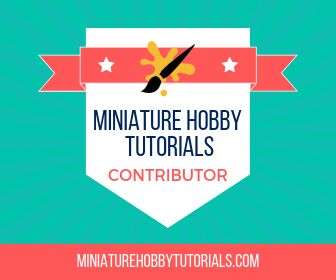 This is the section of the post where I will tell you about what I am working on at the moment; modelling projects, painting and other ‘hobby goodness’. Last time around, I mentioned that I had been trying to have a clear through of any unbuilt kits I had laying around, and I did manage to get everything I had assembled, including all those Fireforge Teutonic Infantry, a Dakka Jet/Blitz Bomma (including magnetising – perhaps I should do an article on how I did that? ), and various other bits. 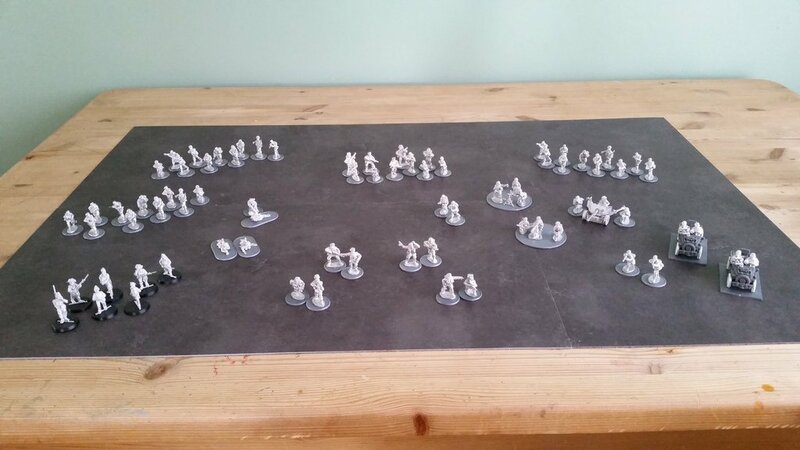 It’s a good job I got all that out of the way, because since then my Dropfleet Commander backer pledge arrived (currently sitting in a large box waiting for some attention), and I have now also assembled all of my Bolt Action German Grenadiers and British Paratroopers. It took a good four or five weeks of clipping, scraping and gluing, but it’s now all done. I have now bought a few extra paints and washes to supplement my collection so I can get started on my Germans first of all, as I will be playing those more often to begin with at our club. Before I can get going on those models however, I am working on finishing off my Dark Elf Bloodbowl Team, ready for our new club league to start in a week or so. The first painting I have done since before I started all that assembly work. Did I mention that hobby time has been at a premium recently? So that’s what I am working on at the moment. The plan is for 2017 to be a big painting year on the Eternal Workbench! Here are my assembled Bolt Action forces. This section of the post is where I bring you extracts from front line reports from recent games, and either regale you with my tales of victory or bemoan my tidings of defeat! The good news is that somehow I have managed to get into something of a more regular gaming schedule after a blip when my job role changed and I couldn’t make it to the club for a while. Since my last Hobby Update I have played five games. This was Kings of War using my Dwarfs against an old adversary at our club, using the Nature army he is tweaking. This is a chap I played a lot of games of 8th edition Fantasy against, but never quite managed to squeeze out a victory, but thankfully either Kings of War just works better for me, or due to its better balance, the scales have tipped in my favour, and I now have the lion’s share of victories. We played 2000 points, and rolled up the Pillage scenario. I remember he tried the strategy of keeping the bulk of his force of Earth Elementals in the centre well back out of the reach of my guns – 2 Organ Guns and a Horde of Rifles – until pretty late in the game, while his Hunters of the Wild attacked up one flank and two flying beasts with lightning bolts up the other. I couldn’t get at the beasts, but the Hunters were stopped dead by Ironguard and Berzerkers, with support from a Horde of Bulwarkers. By the time his centre attacked, I had the advantage of numbers, and after a hard fight to take down his Elementals it was done. My Shield Breaker horde with Brew of Strength had been their undoing. From that game I noted that perhaps I needed some longer ranged shooting, as everything in this list was 24″, and I also needed a way of dealing with fast flying units. Another Kings of War at 2k, versus one of our top players and his Undead. I was using the same list I had in the previous game. This was a Loot scenario, and it turned out to be a shambles on my part. In the Deployment phase I just wasn’t thinking and positioned the Horde of Shield Breakers opposite a flank, without realising that they wouldn’t fit between two pieces of impassable terrain to move towards the centre if needed. This left my centre having to deal with his choice force of multiple Hordes of Werewolves running all over the place, and the majority of my units being unable to manoeuvre fast enough to focus on them. I generally managed to keep him out of my flanks, but ended up with units facing in all directions. His flying Lord on a monster was a big problem, as I just couldn’t pin him down anywhere. Time for a look at my list for dealing with very fast hard-hitting units and combat flyers. Kings of War, 2000 points, vs my old adversary and his Nature force. This time I took Ogres, and included a Horde of Seige Breakers, which I hadn’t used before and promised myself I would. The Ogres worked great, and the choice to use a Horde of Boomers in my back field to deter flyers from landing behind my units provided the perfect deterrent. Again, I was having problems dealing with flyers, mainly because in Kings of War it is a simple thing to ensure that your units are out of danger by pre-measuring all the ranges when you move, but I found that my Warlord with Medallion of Life was awesome for setting up Flank Charges, as not being an Individual, he gets his bonus attacks. He was responsible for taking down both the Horde of Salamanders and a Horde of Earth Elementals. I think the only thing I need to look at in the list again is dealing with flyers that stay just out of range and shoot me with lightning or wait for flank and rear charges. This was my first game of Age of Sigmar since January this year, purely down to the fact that one of the guys I usually play against hasn’t been able to make games due to work commitments, and the rest of the guys at the club didn’t take to the ‘no points’ format of the game. Fortunately another of the guys that first started playing at our club when Age of Sigmar was first released recently came back to the club – and he brought another two new players with him! The game I played was the Take and Hold Battle matched play scenario from the General’s Handbook. The Handbook itself I think will prove to be a turning point for the game at our club. We played 1000 points, my Death vs his Chaos Warriors. He was using some Khorne marked Marauders, Warriors and Knights, plus some characters and some Marauder Horsemen and a Sorceror on a Manticore, while I rolled out a varied force including Skeletons, Zombies, Crypt Ghouls, Grave Guard and a Coven Throne. His Knights got bogged down fighting my self repairing Zombies, before my Grave Guard and Ghouls move in to take them down, while the Skeletons supported by a Wight King smashed the incoming Chaos Warriors, followed by the Marauders. I cannot understate the hitting power of a 20+ unit of Skeletons with +1 to hit and an extra attack each, fighting three ranks deep with their spears. It was a win for Death, and a great return to the game – looking forward to playing more soon. Age of Sigmar 1000 points Matched Play – Death vs Chaos! The last game I played was just last week, and it was my first ever game of Bolt Action! Had an awesome intro to the game, and I found it to be very different to all the other games I play, which is welcome indeed. I like a good variety of gaming and hobbying challenges. We played a 500 point game, Meeting engagement (Kill Points), my Germans vs my opponent’s Brits, which in the dying seconds of the game I lost by one point. I think it came down to the fact that the British Medic saved at least two units from having to take Morale checks, and I just seemed to be struggling to finish off the last one or two squad members of a few units that had all taken a battering. I had tried to focus fire where I could, but sometimes the units I had already hit just became too difficult to damage, so I switched and damaged units that were easier to take models off. I will talk more about this game and my first experiences playing Bolt Action in my next article on this very blog, so suffice to say at this point that it was a lot of fun, and I will be playing a lot more games soon. The Incoming! portion of the post is all about new stuff: new models I have picked up for existing games, or even new games I am preparing to venture into. Last time around I had Bolt Action stuff in the packaging, and Dropfleet Commander on the way. Now that all my Bolt Action models are assembled, I will soon be ready to start on the Dropfleet models that arrived, although thanks to some irresistible Black Friday deals, I now have a Panther and a Hanomag on the way to round out my Germans to about 3000 points, plus the new German army book. I did agree a trade with a club mate to swap my freebie Shaltari Cruiser and Frigate sprues for his PHR, to give us both the beginnings of a third fleet, rather than just a smattering of models, so lots of work to do there, and in addition to wanting to get in more games of Age of Sigmar, Bolt Action and have a go at Dropfleet Commander, our club Blood Bowl League Season 3 is about to start! So within a few weeks, we will be hearing from Sports Reporter Bertwold Humpernickle as he begins coverage of the MAD League, and the progress of my own Dark Elf team, the Hag Graef Hexes. Good to see that you’re getting in some hobby time despite what life is throwing at you. That’s what gaming is great for, or hobbying, just forgetting your troubles for a few hours. It may have been a while but you have been a busy bunny. Hopefully life eases up for you soon. Thanks guys. It does feel good to feel like gaming again. My brain has cooled down a bit now! I’m definitely looking forward to reading more about your thoughts about Bolt Action and especially Dropfleet, I’m thinking of picking it up myself.